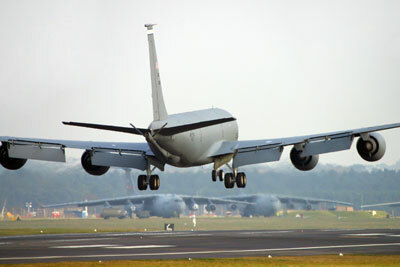 RAF Mildenhall is an American base sandwiched between Mildenhall and Beck Row in Suffolk, about 18 miles north-east of Cambridge and just 4 miles south-west of the other major American base in the UK, RAF Lakenheath. 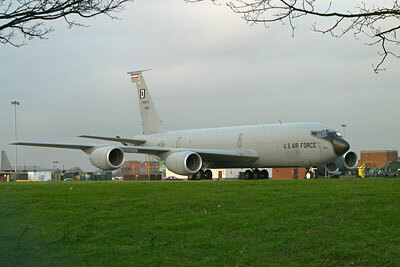 Mildenhall is primarily a tanker base but also hosts various other American units. Based 100th Air Refuelling Wing KC-135 tankers and 352nd Special Operations Group MC-130J Commando IIs (67th Special Operations Squadron) and CV-22B Ospreys (7th Special Operations Squadron) galore, as well as more exotic type such as 95th Reconnaissance Squadron RC-135s and OC-135s along with various US Navy types visiting. 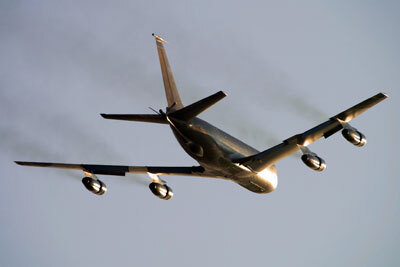 General day-to-day activity is mostly from based KC-135 tankers and Hercs, but operations can also see visits from C-17s, C-5 Galaxies, KC-10s, civilian airliners on military charter, various flavours of C-12 and UC-35, and if you're very lucky, occasional visits from foreign air forces or US frontline types. Most activity is during the week and weekends can be very quiet - though not entirely dead. Assuming you're arriving from the A11, as you come into Mildenhall town centre you will pass a war memorial and come to a roundabout. Turn right and proceed down the road, going over a small roundabout and turn left into Hampstead Avenue. There is plenty of on-street parking available here (point A), and it's your best bet for handy parking for the next two viewing spots. Walk back to the main road and turn left and walk towards the clump of trees. You will often see that people have driven up over the verge here and have parked under the trees (point B) but space here is limited. Cross the road and walk a little bit further and you will soon see the approach lights in the area of open access land on your right (point C). From here there are easy photographic opportunities for aircraft on approach to runway 29, though they can be a bit high. Departures from runway 11 are normally very high by this point. The next spot gets you nearer to the runway. Walk back to point C and turn right to aim towards the bushes. You should be able to see the well-worn path that disappears into the scrubland to the west of the road here. Follow the path and it will lead you over this fairly rough ground (mind the rabbit holes! ), with the base fence appearing on your right and various trees and bushes ahead of you. Keep going and you'll see a mound ahead and to your left (point D). Climb this and you have a panoramic view over the fence, offering good views of this end of the runway in particular, but also a pretty good view over much of the airfield. This is a particularly good spot for side-on views of aircraft landing on runway 29, though a good long lens will also afford fairly decent departure shots of heavily laden tankers departing runway 11. Heat haze is your enemy for that sort of shot though. From the top of the mound you will usually be able to see several parked tankers on the loops off the southern taxiway (Bravo); for a closer look at some of these aircraft, return to your car and drive further west along Hampstead Avenue. Turn right into Folly Road and keep going as far as you can; there is plenty of room to park off to the sides away from the crash gate (point E). As with the rest of the base, there is a high chainlink fence so photography is either going to be through the fence or you'll need a tall ladder. Taxiing and flying shots can be good here but due to various obstructions between you and the runway, stuff still on the runway is difficult to photograph. So, back in the car and drive along Folly Road, taking a right into Melbourne Drive, on to the T junction and turn left into Comet Way. At the next T junction, turn right onto West Row Road. About 1.3 miles further on you'll see a turn to the left (Chapel Road, signposted for Thistley Green and West Row); to your right you'll see an open field and beyond that the base fence (and possibly some parked aircraft). If there is anything of interest here, pick a safe spot to park at further along the road (e.g. the rough layby at point F) and you can walk back to the field. Stick to the edge and you should be able to get up to the fence and to the gap between the trees (point G) that affords a clear view to the hardstandings nearby. The lie of the land is such that you may not be able to see the wheels of parked aircraft though. The next few spots will involve much less work and more reward! Return to your car and keep on going along the road towards West Row. You'll come into a 30 zone and shortly after that there is a turn to the right (Jarman's Lane), take this turn and go all the way up to the T junction. Turn right into Pollards Lane and keep going. As you the road curves to the left you'll see a narrow lane straight ahead (effectively a right turn) - go down there. The lane is bordered on both sides by trees, and then opens out on the left. You'll pass an entrance way on your left flanked by two green sheds - this is the entrance to the famous "John's Field" which we'll come back to shortly (alternatively, turn in here and skip the rest of this paragraph). In the mean time, keep going. When the lane opens out so that there are no trees either side, this is the next place to park at (point H - do not block the lane or park near the houses further on). A short walk to the end of the lane will find a crash gate (point I) and from here there is quite a variety of shots to be had through or over the fence and gate. Space is at a bit of a premium though! 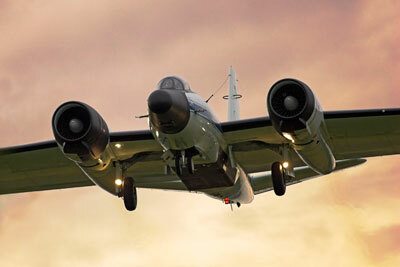 For more angles on the aircraft parked on the hardstandings to your right, it is possible to walk back towards your car and take a left into the field, following the hedgeline, to get to the fence and then along the fence line to an appropriate spot (e.g. point J). Now - John's Field, point K, aka The Nook Campsite. 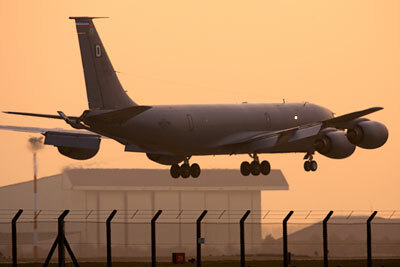 This is a highly popular site to view movements from at Mildenhall as it offers a raised viewpoint so that you can see over the fence (a trailer placed here for that purpose), easy parking and a generally relaxing and welcoming experience. There is a small charge to use for day visitors to use the camp site (£1 per person at the time of writing) - if there is nobody to take your money, put your payment in the box under the canopy of the toilet block along with a note showing your car registration number. Camping details are on their web site. If it's busy and there's no room on the trailer, you can still shoot aircraft on approach as they don't sink below fence level until they are past you here; however, the best variety of shots is definitely to be had from a higher viewpoint. A zoom lens is definitely advised so you can take in the full range of opportunities as aircraft join runway 11 from taxiway Delta, land, take off etc. The sun is generally with you from mid-morning onwards and only becomes a problem for aircraft on approach to runway 11 late in the day. 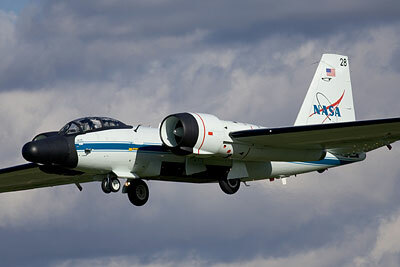 That's pretty much it for Mildenhall; there are a few more spots to view from but by now you've seen the best ones. Anyway, for the sake of completeness... drive out of John's Field, turn right and right again once you reach the main road (Hurdle Drove). You'll soon see a turn to the left (Cow and Sheep Drove), take this and park at the roadside (point L). As you can see from the poles holding the approach lights, you're directly under the approach here but trees will obscure much of your view until aircraft are very close to you. For some different angles, walk back to Hurdle Drove, cross the road and walk left along the roadside until you get to a small field entrance which lets you access the public footpath running along the field edge (point M). There is some scope for approach shots from here, and continuing along the path lets you get to the other side of the approach. There is another camp site just east of here too, and - with permission from the site owner - it may be possible to walk to the airfield perimeter fence and follow it round to the other side of the approach but this would only really be useful for summer evenings when the sun has moved around enough. There is one final spot to try; return to your car and back to Hurdle Drove, turn left and take the next right into New Drove. Keep going and at the T junction, turn right onto the A1101. This will take you back past the base; at the Bird in Hand roundabout, keep going straight towards Beck Row and you'll soon see the airfield (and taxiway Alpha) on your right once more. There are often aircraft parked on the hardstandings here but there is nowhere safe to stop and the light will be in your face for most of the day anyway. The fence also has panels behind it to block the view, and for most of this stretch there is a further fence much further inside - basically it's a dead loss for getting photos. Anyway, keep going and you'll eventually come to a roundabout; go right round to turn back on yourself and you'll see a rough patch of ground on your left where the pavement level dips (point N). This used to be an entrance to an open field, but in recent years a fence has gone up. This spot offers a viewing spot for aircraft on approach to runway 29 or departing 11 but the light will be against you most of the day; it can be great for sunset shots at the right time of year. It may also be of use for spotters after the serials of any aircraft parked along taxiway Alpha. 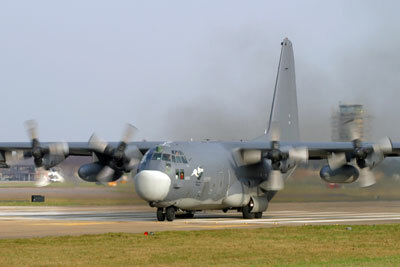 That really is it for Mildenhall! 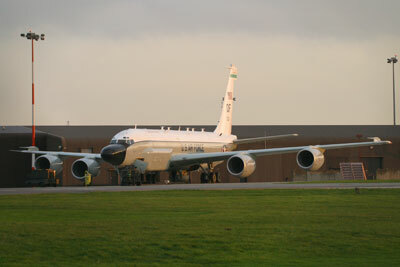 As at Lakenheath, security ramped up dramatically after the 9/11 attacks and has not relaxed much since. Base security are happy enough with people viewing activities from the popular spots though they do occasionally have a bit of a wobble at people hanging around on Folly Road. Lakenheath is just 10 minutes drive or so away, but take care - some of the US servicemen treat the local roads like racetracks and finding a newer arrival on the wrong side of the road is pretty much a weekly occurrence. There is a preserved Hunter on display not far away from Beck Row. Petrol station and various shops and cafes located in Mildenhall and Beck Row, as well as petrol stations on the A11 roundabout.